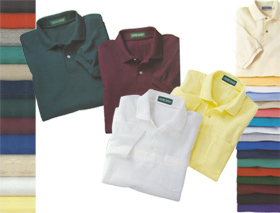 100% pre-shrunk superweight cotton t-shirts with seamless collar, taped neck and shoulders, and fully double-needled stitching. Features the embroidered Club 440 logo on left breast. Fruit of the Loom. 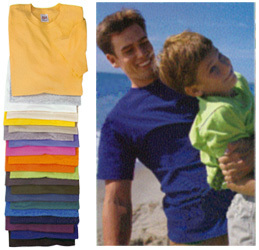 100% Preshrunk cotton long sleeve t-shirts with ribbed collars and cuffs, seamless stitching, taped neck, fully double needle stitched. Features the Club 440 logo on left breast. Have a great day with nothing but blue skies in this 6.5 oz. 100% Cotton denim shirt with button down collar and left chest pocket with button and Club 440 logo. Wood tone buttons. Comes in dark and light Denim with blue and white striped ticking inside collar and cuffs. Locker patch. Adult sizes: S, M, L,XL, 2X, 3X. Youth Sizes: 6-8, 10-12, 14-16. Available in Light Blue and Dark Blue. Ladies are special and they need two types of denim shirt to have a Blue Skies day. Picture yourself in a 7.25 oz. 100% Cotton, cut sleeveless denim shirt with spread collar and wood toned buttons. Club 440 logo on left breast. Flat yoke back. A sharp upgrade from the Club 440 classic polo. Rugby style with the comfort of a Polo. 7.5 oz. 100% ring spun cotton pique shirt with pieced vertical rugby striped panels. Taped collar and welt cuffs. Clean finished two button placket with wood tone buttons. Side vents with drop tail. Club 440 logo on left breast. Adult sizes: M, L, XL, 2X. Available in Gold/Navy, Navy/White, Royal/White, Red/White, Black/White, Black/Red, Green/Blue. Have trouble explaining yourself to others? Wear this 6.3 or 6.5 oz. 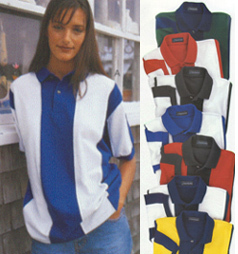 100% combed cotton pique tubular golf shirt with welt cuffs, clean finished two button placket with pearlized or wood tone buttons, double needled stitched hem with Club 440 Logo on left breast and it says it all. Adult sizes: S, M, L, XL, 2X, 3X, 4X. Available in white, maize, putty, natural, butter, watermelon, california blue, black, red, royal jade, royal blue, navy, spruce & forest green, wine, maroon, purple, oatmeal, & sports gray. Wear a shirt that says I Still Love You, Simple as That! Named in honor of Jodi Duncan. A 6.5 oz. 100% Pre-shrunk cotton 1X1 ribbed, mitered v-neck, shirt (heather gray shirt is 90% cotton, 10% polyester) with bound trim around neck and sleeve. Double needle stitched bottom hem and side seams. Club 440 logo is on upper center of chest. Adult sizes: S, M, L.
Available in Black, Heather Grey, Frost Pink, White, Frost Sky, Yellow Haze. Be the absolute dream of every kid ever to seek permission to borrow the family car! 5.6 oz. heavyweight 100% pre-shrunk cotton, cropped, scoop neck, baby doll t-shirt with Club 440 logo on upper center chest. Adult sizes: XS, S, M, L.
Available in violet, white, azalea[pink], mandarin orange, dandelion[pastel yellow], Key Lime, and Black. Wear this great looking hat the next time you irreversibly damage your body at a retreat or church picnic! Remember, Bryan Duncan knows pain! 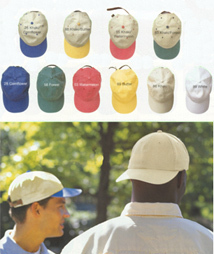 100% pigment dyed washed cotton, unstructured, six paneled, low profile cap with Club 440 logo. Adjustable leather strap with buckle and grommet. Available in cornflower blue, forest, watermelon, butter, khaki, and white. When you want to spend a day as your "lunatic friend"? Grab this hat and hit the beach for some quiet time. 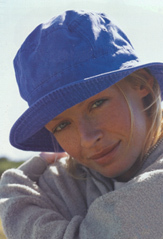 100% pigment dyed, washed cotton, unstructured hat. Features the Club 440 logo. Going on a road trip?? 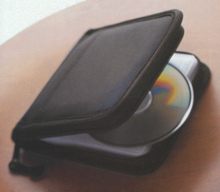 Pop all those Bryan Duncan CDs in this Nifty CD case. 420 Denier Nylon case with foam padding. 5" open pocket front and back to stash those speeding tickets and a three sided two way zipper with braided cord. Crystal Cathedral see through protective sleeves hold 12 CDs. Features the Club 440 logo. Stand out at your next Bryan D. concert with this Club 440 Faux Backstage Pass. Now this pass doesn't get you all access, but it does identify you to the others in attendance and Bryan that you are a lunatic of the highest order. This pass looks really cool when you sport a pair of Rayban Wayfarers and a box of Krispy Kreme Doughnuts under your arm.